We found Michele Quan of MQuan Studio on our most recent trip to New York. Quan designs and sculpts handmade ceramic art and objects for the home and garden, with each piece becoming a canvas for her love of drawing, painting, text and color. 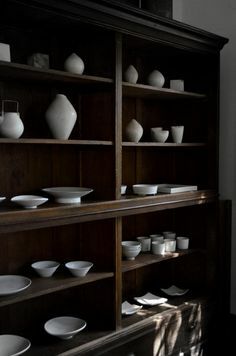 Her ceramic forms are built by hand, wheel-thrown, or slip cast in stoneware and porcelain in New York City studio. We especially love her whimsical bells and magical dishes (shown below) which range in size from curio pieces to platters.